Before :- K. Ramaswamy & N.V. Venkatachala, JJ. Special Leave Petition (C) No. 17305 of 1994. D/d. 24.10.1994.
application under Order 6, Rule 17 CPC seeking leave to amend the plaint by impleading respondent also as a party defendant in the suit. The contention of the petitioner is that Shivnath Mishra, the vendor, had colluded with his sons and wife and had obtained a collusive decree in Suit No. 393/90 under Section 229-B of the U.P. Zamindari Abolition and Land Reforms Act. By operation thereof, they became co-sharers of the property to be conveyed under the agreement and, therefore, the respondent is a necessary and proper party. The trial court dismissed the petition and on revision, by the impugned order dated July 13, 1994, the High Court of Allahabad dismissed the Civil Revision No. 369/93. Thus this S.L.P. 2. 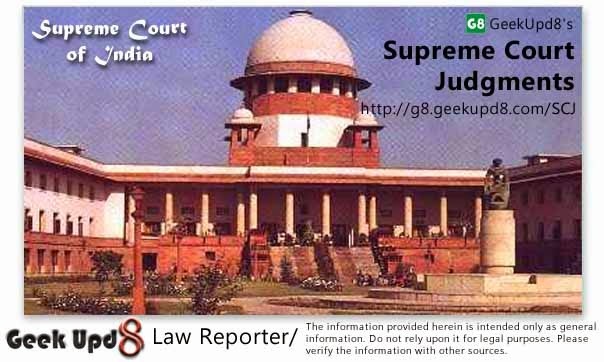 The contention of the petitioner is that the respondent having secured an interest as a co-owner in the land by operation of decree of the Court to effectuate the ultimate decree of the specific performance that may be granted in favour of the petitioners, the respondent is a necessary and proper party and the High Court, therefore, has committed grievous error in refusing to bring the respondent on record as second defendant. He seeks to place reliance on Order 1, Rule 3, Order 1, Rule 10(2) and Order 22, Rule 10 CPC. We find no force in the contention. 3. Order 22, Rule 10 postulates of continuation of suit by or against a person who has by devolution, assignment or creation, acquired any interest during the pendency of a suit, by leave of the Court. The obtaining of a decree and acquiring the status as a co-owner during the pendency of a suit for specific performance, is not obtaining, by assignment or creation or by devolution, an interest. Therefore, Order 22, Rule 10 has no application to this case. (b) if separate suits were brought against such persons, any common question of law or fact would arise." 5. In this case, since suit is based on agreement of sale said to have been executed by Mishra, the sole defendant in the suit, the subsequent interest said to have been acquired by the respondent by virtue of a decree of the Court is not a matter arising out of or in respect of the same act or transaction or series of acts or transactions in relation to the claim made in the suit. "10(2) Court may strike out or add parties. - The Court may at any stage of the proceedings, either upon or without the application of either party and on such terms as may appeared to the court to be just, order that the name of any party improperly joined, whether as plaintiff or defendant, be struck out and that the name of any person who or to have been joined, whether as plaintiff or defendant, or whose presence before the Court may be necessary in order to enable the Court effectually and completely to adjudicate upon and settle all the questions involved in the suit be added." 7. By operation of the above-quoted rule though the Court may have power to strike out the name of a party improperly joined or add a party either on application or without application of either party, but the condition precedent is that the court must be satisfied that the presence of the party to be added, would be necessary in order to enable the Court effectually and completely to adjudicate upon and settle all questions involved in the suit. To bring a person as party defendant is not a substantive right but one of procedures and the Court has discretion in its proper exercise. The object of the rule is to bring on record all the persons who are parties to the dispute relating to the subject matter so that the dispute may be determined in their presence at the same time without any protraction, inconvenience and to avoid multiplicity of proceedings. 8. The question is whether the person who has got his interest in the property declared by an independent decree but not a party to the agreement of sale, is a necessary and proper party for effectually and completely adjudicate upon and settle all the questions involved in the suit. The question before the Court in suit for the specific performance is whether the vendor had executed the document and whether the conditions prescribed in the provisions of the Specific Relief Act have been complied with for granting the relief of specific performance. 9. Sub-rule (2) of Rule 10 of Order 1 says that "necessary parties are persons who ought to have been joined as a party to the suit, a necessity to the constitution of the proper suit without whom no relief or order can be passed". In order that a person may be considered a necessary party, defendant to the suit, the conditions precedent must be (1) that there must be a right to some relief against him in respect of the dispute involved in the suit; and (2) that his presence should be necessary to enable the court to effectually and completely to adjudicate upon and settle and all the questions involved in the suit. Since the respondent is not a party to the agreement of sale, it cannot be said that without her presence the dispute as to specific performance cannot be determined. Therefore, she is not a necessary party. 10. A person may be added as a party defendant to the suit though no relief may be claimed against him/her provided his/her presence is necessary for a complete and final decision on the question involved in the suit. Such a person is only a proper party as distinguished from a necessary party. In Razia Begum v. Sahebzadi Anwar Begum & Ors., 1959 SCR 1111, in a suit instituted for a declaration of legal status as a married wife, the question arose whether another person claiming to be the third wife and sons through her are necessary and proper party, who sought to come on record under Order 1 Rule 10(2). This Court held that in a suit for declaration as regards status or legal character under Section 42 of the Specific Relief Act, the rule that in order that a person may be added as a party must have a present or direct interest in the subject matter of the suit, is not wholly applicable and the rule may be relaxed in a suitable case where the court is of the opinion that by adding that party it would be in a better position to effectually and completely to adjudicate upon the controversy. In such suits the court is not bound to grant the declaration prayed for, on a mere admission of the claim by the defendant, if the court has reasons to insist upon clear proof, apart from the admission. It was, therefore, held that a declaratory judgment since binds not only the parties actually before the court but also the persons claiming through them respectively within the meaning of Section 43 of the Specific Relief Act, they are proper parties. The petitioner is not claiming this legal status nor through the respondent. In Lala Durga Prasad and Anr. v. Lala Deep Chand & Ors., 1954 SCR 360, in a suit for specific performance the subsequent purchaser was held to be a necessary party. In this case the petitioner is merely seeking the specific performance of the agreement of sale. Section 15 of the Specific Relief Act, 1963, provides that except as otherwise provided by this Chapter, the specific performance of a contract many be obtained - "any party thereto"; any under Section 16 of the Court has been given discretion and personal bars to relief. Therefore, based on the fact situation, the court would mould the relief. The respondent is neither a necessary nor a proper party to adjudicate upon the dispute arising in the suit so as to render an effective and complete adjudication of the dispute involved in this suit. 11. Therefore, the High Court, though for different reasons, has rightly refused to interfere with the order of the trial court. The S.L.P. is accordingly dismissed.